Listing courtesy of Carl Gambino (CalBRE #01971890), Westside Estate Agency Inc.. Situated on over 50,000 sf of land is a completely private sanctuary offering breathtaking views of the San Fernando Valley. This contemporary, newly remodeled dwelling features a spacious living room that blends into the dining room, an open kitchen and sitting area all with beautiful views of sunsets. A stunning, large outdoor entertaining area treats you with a heated pool, BBQ, and outdoor shower while stairs guide you to a unique, massive area of manicured grass, outlined with twinkle lights that magically displays incredible, uninterrupted mountain and city views. 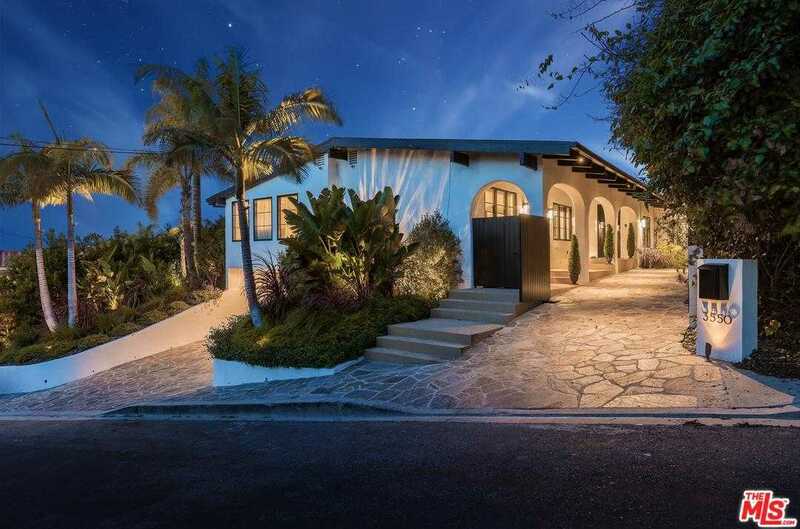 Located in prime Sherman Oaks, there is also access to Mulholland Drive down a 1/4 mile private gated road giving you the best of both sides of the hill. Please, send me more information on this property: MLS# 19453362 – $3,295,000 – 3550 Glenridge Dr, Sherman Oaks, CA 91423. I would like to schedule a showing appointment for this property: MLS# 19453362 – $3,295,000 – 3550 Glenridge Dr, Sherman Oaks, CA 91423.